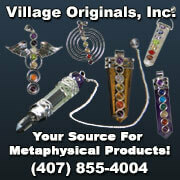 Click on the link below for ad rates for each of Xpo Press’s 12 gem show guides. The combined annual circulation of these guides is 125,000, and distribution reaches gem show attendees at every major gem and mineral show in North America. What discounts do you qualify for? Up to 43% OFF is awarded in discounts. 3% OFF for early-payment made within 7 days after invoicing, combined with MULTIPLE AD DISCOUNTS* of 5% OFF for reserving 2 ads, 10% OFF for 3 ads, 15% OFF for 4 ads, 20% OFF for 5-9 ads, 40% OFF for 10 or more ads! * Multiple ad discounts are based on the number of total ads you reserve, combining the number of print ads in Xpo Press gem show guides and the number of online banner ad packages you purchase. 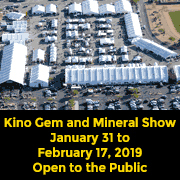 Click on the link below for ad sizes and file specifications for each of Xpo Press’s 12 gem show guides. Please read through the information carefully. Ads that are provided as camera-ready that do not meet the provided specifications will not be accepted. Send advertising questions to support@xpopress.com or call 1-720-946-2808.